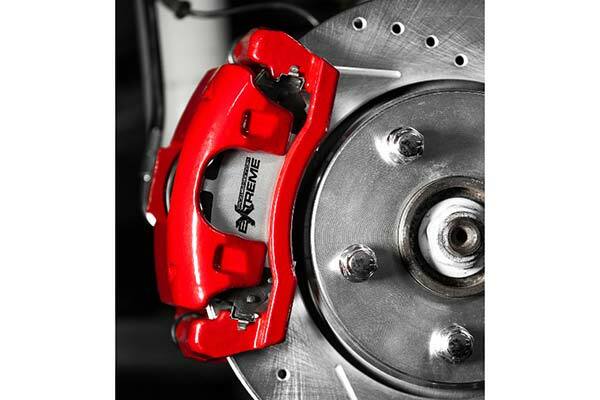 Power Stop Z36 Brake Kit - Extreme Truck & Towing - Free Shipping! 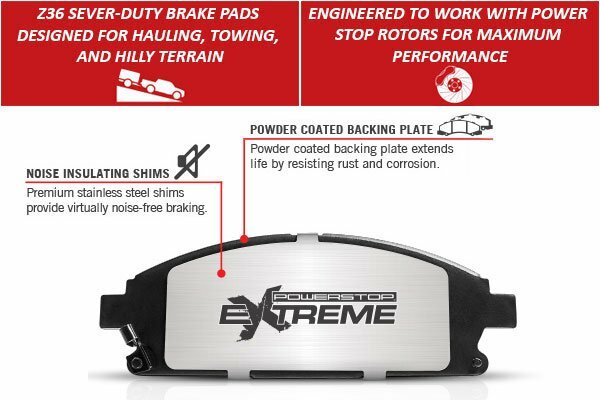 Bring back heavy-duty stopping performance onto your ride with a Power Stops Z36 Truck & Tow Brake Kit. 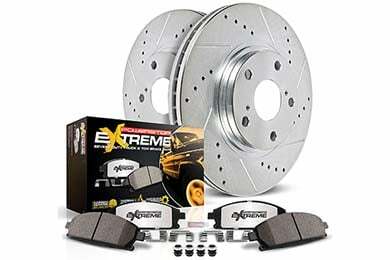 Tailored for your truck or 4x4 application, this low-dust formula brake kit is reinforced with carbon fibers for extreme braking performance even on treacherous terrain. 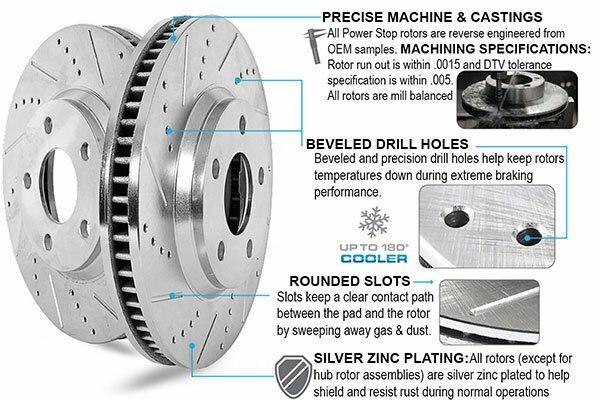 Designed for improved heat dissipation and noise-free braking with stainless steel shims, this anti-rust brake kit provides zinc-plated drilled and slotted rotors for maximum cooling (except hub assemblies). Using G3000 metallurgy with strict OE tolerances, you can rest easy knowing you’re getting the a top-of-its-kind kit for your vehicle. Your kit comes with everything you need for the easy, bolt-on installation. 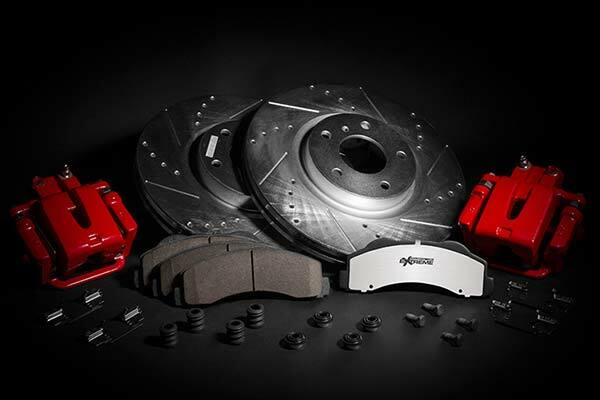 From brake lubricant to premium stainless steel hardware kit, including pin bushings and matched rotors and pads, all you need to do is choose between a 4-wheel, front or rear brake kit and if you’d like it with or without calipers. Your Power Stop Z36 Truck & Tow Brake Kit is great for towing and compatible with your oversized tires. 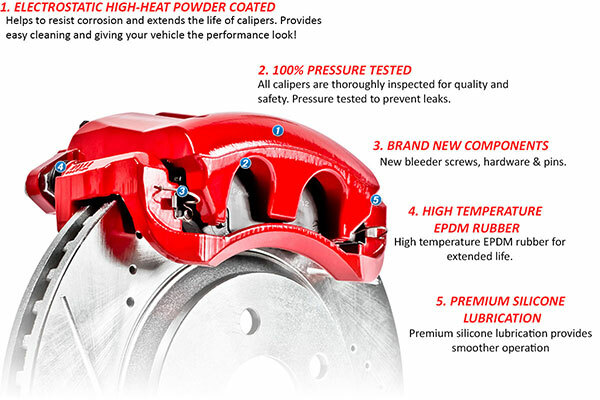 It also comes with optional red powder-coated calipers (available for most vehicles) and is backed by a 3-year/36,000-mile warranty against defects and 60-day hassle-free warranty. I've used these replacement brake kits since they have been out on the market they are easy to install come with all parts to replace your brakes the right way,I will continue to use these kits to do my brake jobs. This is the second set of Power Stop Z36 truck brake kits I have purchased. First set for 2013 F250 and second set for me 2012 F350. Quality is outstanding and so far the pads are holding up well. I would definitely buy more in the future for my other rigs. 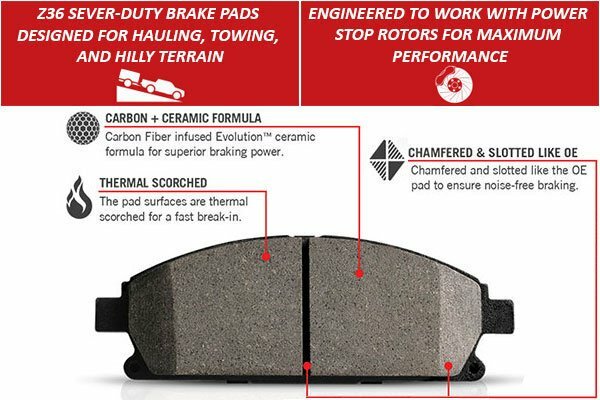 Power Stop brake pads and rotors are excellent. Never had a problem with them. So far I use them on two of the three cars I own. Auto Anything is the place to get them too. Great pricing and fast shipping. Reference # 753-509-323 © 2000-2019 AutoAnything, Inc.